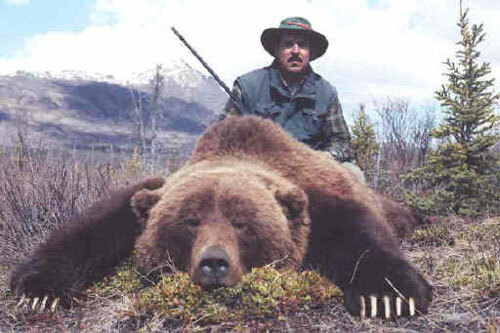 The area is known as being an excellent producer of mountain grizzlies with both spring and fall hunts available. 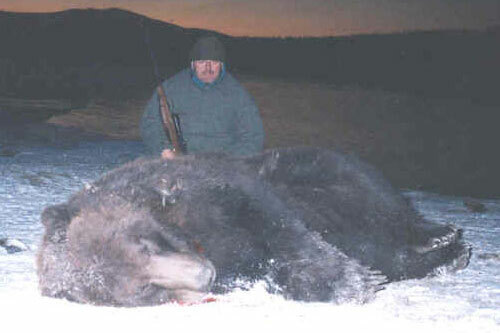 These bears have a beautiful and a finer quality fur than costal bears or bears living in a warmer environment. 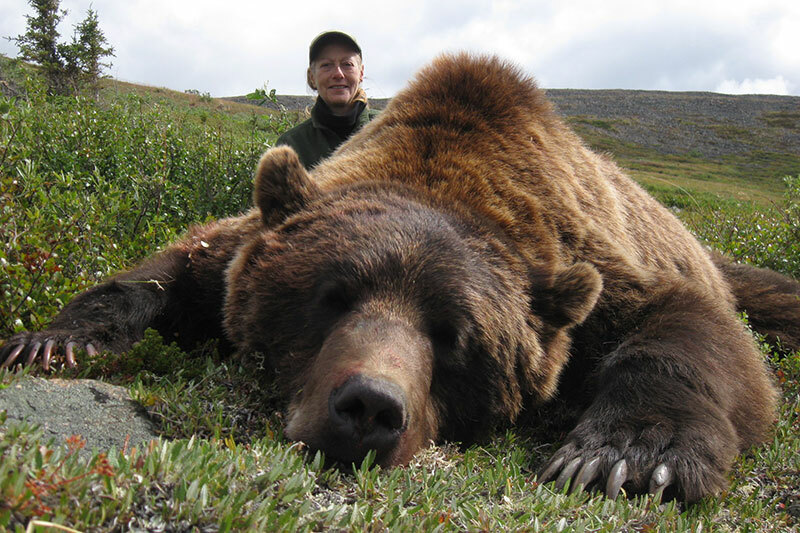 We will occasionally harvest bears over 9 feet square but normally our grizzlies range in size from 7 feet to 8 feet square. 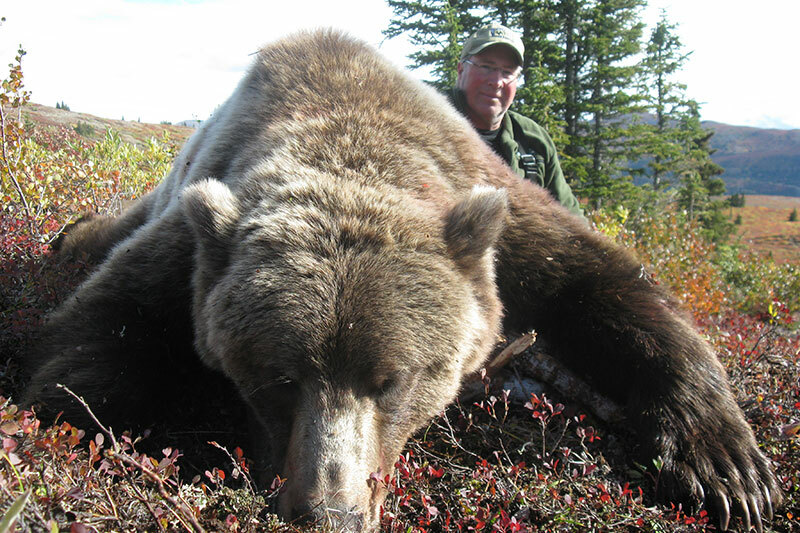 We continue to harvest good bears with a lot of color variation ranging from dark bears to blonde or silver tip. 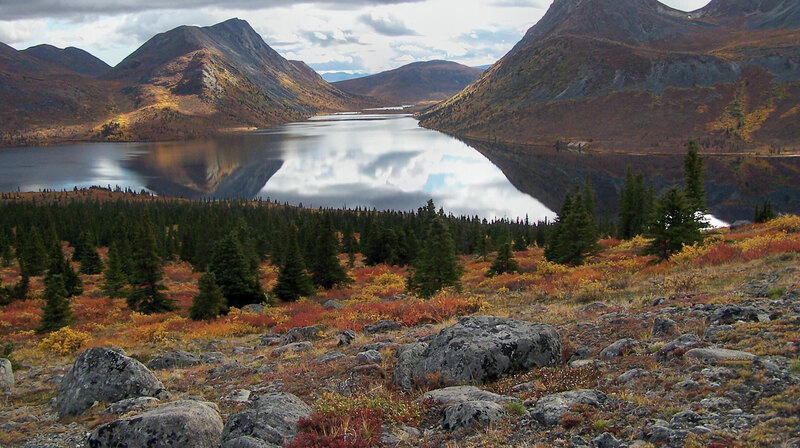 On our spring hunts we do lots of “glassing” and utilize horses, boats, and backpacking to assist in our success. On our regular fall hunts grizzlies are often seen on berry patches or perhaps gut piles while we are hunting for other species. On our late fall hunts we utilize a jet boat to access the grizzlies on the Yukon River salmon spawning beds.